There’s no shortage of summer activities in Connecticut, but a lot of residents choose to “staycation” in their own backyards with the help of inground swimming pools. But is an inground swimming pool really worth the cost in this northern state? Only you can answer that question. As with most coastal states, there’s a lot of climate variation depending on where you are in Connecticut. But overall, we’re talking about one of the colder states in the union here. If you need to be able to use your pool for six months out of the year for the investment to be worth it for you, then you might be disappointed. June through September is more realistic. You’ll need a good electric pool heater, preferably combined with a solar heating system to keep your electric bills under control. But here’s an off-the-wall suggestion. Try a plunge pool that can function as a spa in cooler weather. Not only will you get more use out of your pool, but you’ll save space, too. Construction workers do well in Connecticut relative to other states. That’s great for them, but rough for you if you’re building a labor-intensive concrete swimming pool. 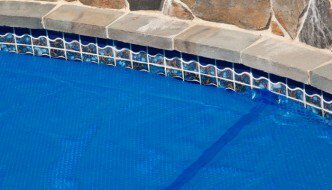 However, there are many ways to save money – going with a smaller pool, doing some of the digging yourself, getting an inground pool kit, etc. Look around this site for some ideas. The process for getting pool permits varies from city to city, so check with your local municipality. If you hire a pool company, they may be able to handle the paperwork themselves, saving you the hassle. Both don’t assume they’re going to do it until they say so, and even then you should follow up to make sure it gets done. You don’t want any surprises. Whether you live in Hartford, Bridgeport, or one of the many smaller communities in Connecticut, there are statewide regulations you must abide by if you have a pool. Specifically, you need to have a safety fence that meets a detailed set of requirements. City governments may have additional requirements, so be sure you understand what all the laws in your area are before you undertake a pool construction project.